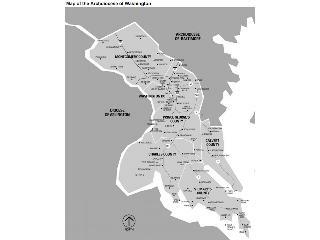 Welcome to Archdiocese of Washington (DC & MD)! Catholic identity is intrinsic to our schools and the reason for their success. Our mission is to educate all students in a Christian environment, welcoming children of all faiths. We promote the value of the individual while encouraging mutual respect through our Catholic faith and traditions. With a strong educational foundation and rigorous academic programs, our students are prepared to meet the challenges and opportunities of a changing multicultural society in the light of Christ’s teachings. Our schools are fully accredited and all teachers are certified in their specific areas. We are committed to academic excellence as reflected in the high test scores, placement and achievements of our students. Our schools are geographically accessible to as many students as possible. Our Catholic schools are strategically located to allow the reasonable hope that most children will be able to get to a Catholic school in a given accessible area. Within our schools, the programs we offer meet the needs of a wide variety of students. Our students are able to learn, immersed in a nurtured and safe environment. Careful planning has been undertaken to keep the cost of Catholic education within the reach of families. The tuition assistance program is one of the ways that the Archdiocese of Washington helps many children realize the dream of a Catholic education. Over the past four years, the tuition assistance program has increased from offering $800,000 to over $5 million. "Our children today, as they grow up in an ever more complex world, need to be firmly grounded in knowledge of the authentic faith the Church professes so they can be prepared to live a full, happy and holy life in communion with Christ."